Slimjet is a web browser based on the Google Chrome engine with additional features and customizations. The program includes integrated ad-blocking, video downloader, customizable toolbar, form filler, photo upload enhance/shrink, translation, address aliases, flexible new tab controls and more. Slimjet includes Facebook integration and is compatible with Google account import history/bookmarks. The program claims compatibility with almost all plugins and extensions from the Chrome web store. How to extract: Download the portable self-extracting 7z package and extract to a folder of your choice. Launch slimjet.exe. 17.0.1 Beta is now in Download section of web site. 17.0 no longer on website, in download or "what's new". ...and compiled it with the Bat-to-Exe-Converter. Voilà, a completely stealth, fast, reliable x64-Browser! SlimJET now is 15.0 beta. Tried again, and the site is now online. Website appears to be down. I can't even find a legit download link to the portable x64 package. This thing seems to always get released with old versions of pepperflash, making it a security risk. I have used Slimbrowser almost since the day it was released, but switched to Slimboat about 6 weeks ago because I believed "Chrome" was the way to go. Used Slimboat for over a month, to give it a good fair try, and I've been back on Slimbrowser for two weeks now. Slimbrowser occupies well under 20mb on my machine, while Slimboat was waaaaay over 100mb, but that's not the main reason for the switch back. SlimBrowser and IE simply have a better feel and work better, IMHO. I won't be going back to Chrome. In addition to "HKCU\Software\FlashPeak\Slimjet", following entries are also created: "HKCU\Software\Chromium" and "%userprofile%\appdata\local\Slimjet". I did multiple tests and found Slimjet to be faster than Chrome on my slow network. And the additional settings are quite useful. I'm beginning to loose interest in this browser. The update cycle is starting to rival that of Q-Dir...almost every other day there is an update. I don't know about the Opera 12. That seems a very old version. But I checked opera 24 and its unpacked size is 150MB+. To be fair, Slimjet includes builtin PDF viewer and pepper flash player plugin. That's 20MB+. If you don't need that, you can delete those. And you can remove all the language files that you don't need under the locales folder and language folder. And if you don't ever play any games based on the NaCl technology, feel free to remove nacl_irt_x86_32.nexe and nacl_irt_x86_64.nexe . Their SlimBoat is a lot slimmer. But Slimjet is the better choice to go for me in terms of speed and site compatibility. Regardless of its size, this is a keeper for me. 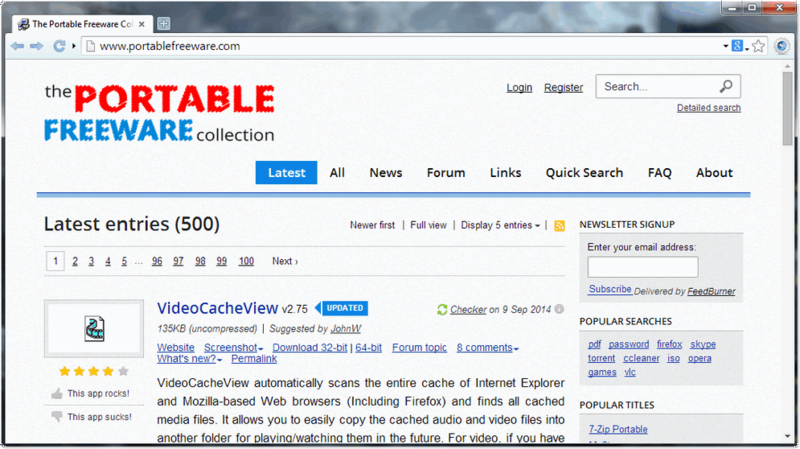 This browser is impressive. Fast, highly customizable, and a lot easier to update. yeah, i recently tried the Slimboat browser and it was slower than #@#$# so when i saw another program labeled "slim" and weighing in at 155 MB i had to laugh. Opera 12.16 is only ~27 MB when you strip out all the extra languages. Slim is their brand. They previously made SlimBrowser and SlimBoat. It isn't 'slim' at all, compared to Firefox (51MB), Chrome (84MB), Opera (93MB). Even Iron (140MB) is smaller. hmm, slimjet is 155 MB.